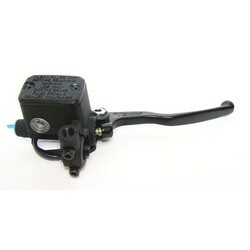 Master Cylinder Universal Black. Just a solid and trustworthy little pump for all sorts of discs. Ideal for you Cafe Racer. It already has a reservoir and comes with the lever. 16MM Master Cylinder for 22MM Bars Type 2. 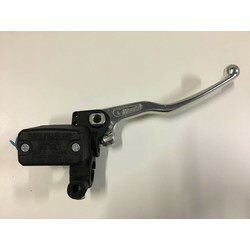 16MM Master Cylinder for 22MM Bars Type 1. Does fit on 22mm or 7/8" bars.